So my fiancée and I were making our version of Thanksgiving dinner last night and we were constantly wiping off stuff from the counter with the Swedish version of a sponge. We got to talking about how weird it is when we go to the US to visit family and try to clean the kitchen without the Swedish “trasa” – it just doesn’t feel right to use a sponge or a wet stinky dish cloth. Even others have experienced this problem! This entry was posted in TrulySwedish on November 24, 2017 by Kenneth Chen. How should I get a new mortgage? The autumn chill has come through Stockholm and it’s gotten really cold these last few weeks, which means more time spent inside. Aside from spending time inside with friends and loved ones, another thing I do look through my financial situation and recalibrate based on my goals. Boring, right? Yes, but it can save or earn you some money with very little effort! One big thing I recently did was to move my mortgage loan from one of the big banks — SEB — to Nordnet. I’ve had SEB for six years and it was time for me to renew my rates again. SEB and the other banks simply won’t give you a good mortgage rate unless you’re willing to invest significant amounts of your monthly salary in one of their products. It doesn’t need to be an SEB-managed mutual fund, but obviously those are the ones they’re going to push. This entry was posted in TrulySwedish on November 5, 2017 by Kenneth Chen. Sorry for the delay, but the process took much longer than I expected (as with most things) – but the good news is, we sold the place in our building so I’m happy to report back with some tips and tricks for those of you thinking about selling. Note that the time lapsed had nothing to do with a difficult Stockholm market or anything – it was simply due to logistics with the holiday season. The most important thing is to find a real estate agent that you personally feel comfortable with. Rapport with your agent is the most important thing you can invest in, and that should be highest on your priority list regardless of the commission they’re charging. Transactions will probably go relatively smoothly, but when they don’t, you want to know that the person you’ve trusted with the job of selling will go to bat for you. In addition, this agent will represent YOUR personal and legal interests as well as the legal interests’ of the buyer; there is no concept of a buy-side agent in Sweden. This entry was posted in Apartment, TrulySwedish on February 7, 2017 by Kenneth Chen. I’m about to facilitate the sale of an apartment in my building on behalf of our homeowner’s association (I’m a Board member). I’m meeting with a few real estate agents/firms to evaluate their offerings and will make a recommendation to the Board. This is new for me – I’ve only ever bought property in Sweden – so if you have any questions, leave a reply and I’ll try to get the answer for everyone. This entry was posted in Apartment, TrulySwedish on December 7, 2016 by Kenneth Chen. I have some big and exciting news! As of October 3, 2013, your dear blogger is an official Swede! That’s right – I am a naturalized citizen of this country! Don’t worry, I didn’t give up my American citizenship – nope, all I did was add to it. I even managed to get my Swedish passport – it only took 3 days. Most people congratulated me this week and asked how it felt. 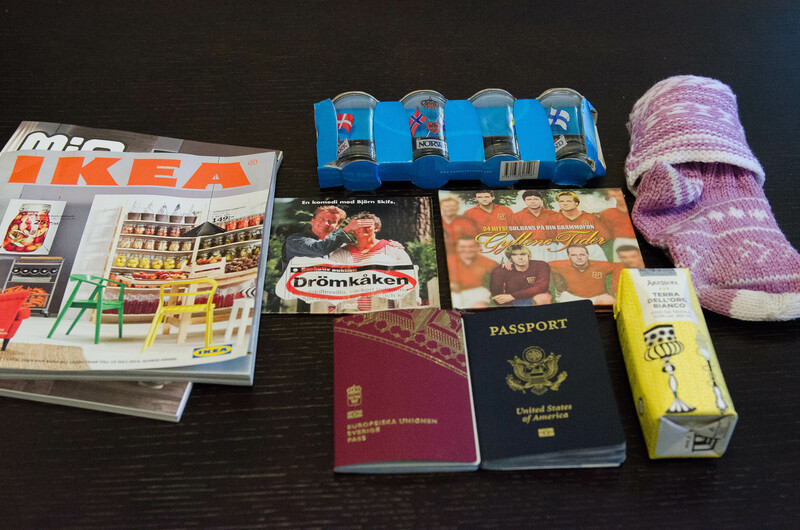 My friend Victoria gave me a little “Welcome to Sweden” goodie bag filled with nostalgia-triggering items that apparently all Swedes of my generation owned at some point. It’s been a week, so I figured I would try to put into words the emotions that have been coursing through my veins these last few days. This entry was posted in Kenneth, Me, Success, TrulySwedish on October 12, 2013 by Kenneth Chen.